A new rural crime team will be set-up by Warwickshire Police after plans for extra funding through a council tax increase was agreed. 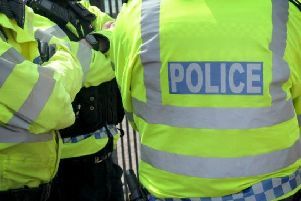 Police and crime commissioner Philip Seccombe told members of the county’s police and crime panel that the move followed lengthy talks with experts. He explained: “I have spent a lot of time talking to the NFU, to the farmers and landowners about rural crime and I think this is the beginning of a good move forward. The NFU are very supportive. “It is bringing the assets that we already have into one team so its not extra officers. This [work] could include gypsy traveller issues, coursing and theft from farms. Rugby Borough Cllr Derek Poole asked for teams for both the north and south of the county and the police and crime commissioner agreed to discuss the situation with chief constable Martin Jelley. Members of the panel agreed to a £24 annual council tax increase for band D properties which will also see an extra 85 police officers recruited.